Less serious criminal offenses are considered misdemeanors, and can include charges such as: criminal mischief, trespassing, petty theft, disorderly conduct, prostitution, public intoxication, and vandalism. 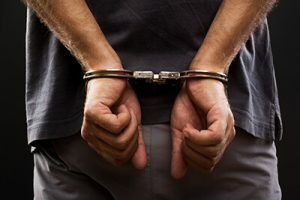 While a misdemeanor may not be as serious of a charge as a felony, it is still a very serious situation to be in, and you should call a Colorado Springs misdemeanor defense attorney for help immediately. At the Rector Law Firm, you will find skillful attorneys with over 30 years experience representing individuals facing misdemeanor charges. The Rector Law Firm offers free consultations. We’ll answer your questions, and let you know if you have a case. Our office is committed to providing the best legal services available. Our attorneys are natives of Colorado and have over 75 years of combined experience defending people who have been charged with a crime, and representing victims of personal injuries. Call us at (719) 249-5572 or fill out the confidential contact form on this page. Call today for more information and a free confidential evaluation of your case – (719) 249-5572.